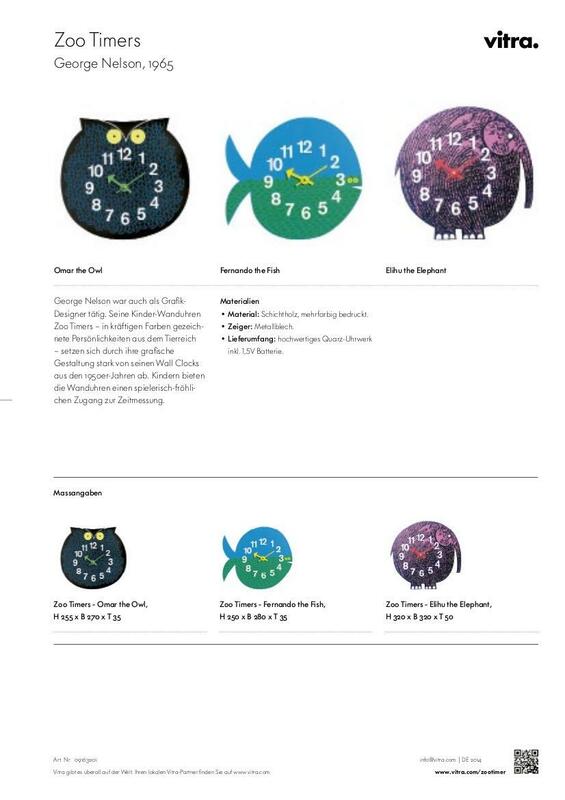 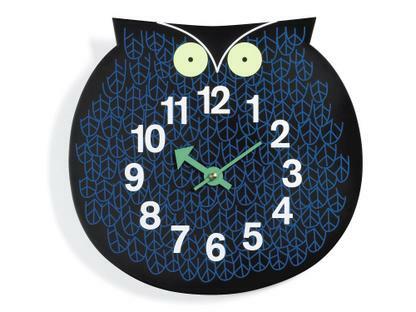 Omar the Owl is a comical children's clock designed in 1965 by George Nelson and is produced by Vitra. 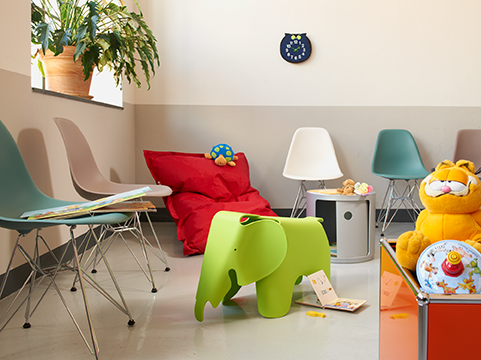 And Omar is not alone, Omar has siblings: Elihu the Elephant and Fernando the Fish also belong to the collection of the Zoo Timers and not only let children's hearts beat a little faster, but also help make learning to tell the time a more enjoyable experience. 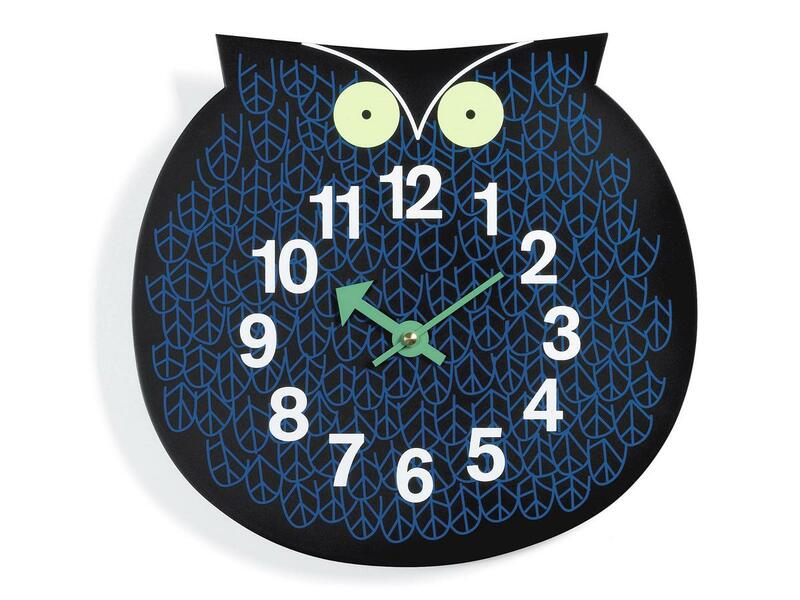 The stylistic animal shapes are made from plywood and are printed with graphic patterns: Omar the Owl in midnight blue and with large, globular eyes, as befits an owl.